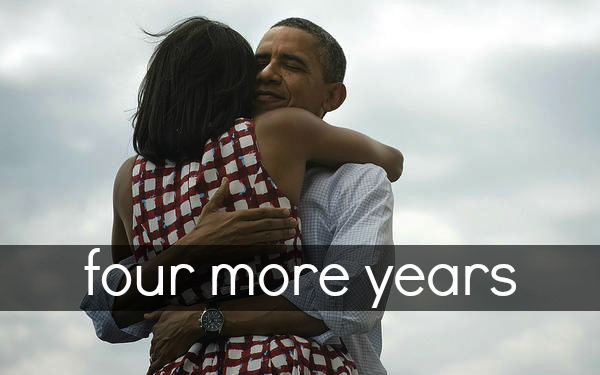 Tomorrow Barack Obama will be sworn in for his second term as President of the United States of America. We realize that whatever happens in the United States greatly affects us in Canada, and so we are keenly interested in developments south of the line. Given that President Obama has already spent four years in the office of President, he is by no means a stranger to any of us. He began his tenure as President four years ago with the reputation of being the most liberal of all Democrat senators of the time. In the four years since, he’s demonstrated that Yes, he’s definitely liberal in his leadership. As examples one can think of the position he’s taken on gay marriage, can think of his support for abortion, can think too of his push to make the American people increasingly dependent on the government for their daily needs even while he leads the American nation into unprecedented debt. There is much in the way he governs that leaves one much concern. There is literature out there that suggests that under a second Obama presidency Christians have every reason to head for the foxholes to ready themselves for the dark days of prolonged defensive battle against an aggressive liberal onslaught. It’s not that I’m excited by the prospect of America being led by a very liberal president. I do not think, though, that there is place for fear. I say this specifically because the Christian needs to speak and think from out of his conviction that Jesus Christ is Lord of lords. Pharaoh of Egypt, Sennacherib of Assyria, Nebuchadnezzar of Babylon and Caesar of Rome were men of enormous power and influence in their day, but Scripture speaks of them as tools in the hands of Almighty God (cf Isaiah 10:5ff). The people of Israel living in the days of Pharaoh or Sennacherib or Nebuchadnezzar or Caesar were not meant, according to God’s revelation, to be fearful of the directions taken by these mighty men, but were instead to relax in the confidence that the Lord their God had the world and its politics securely in His hands – and He was using these mighty men to accomplish His goals. That reality is even more true in the dispensation of Christ’s triumph on the cross of Calvary and His subsequent ascension into heaven (see Revelation 5). This Christ is currently gathering His church in today’s world, and rulers and kings, Presidents and Prime Ministers are servants He is pleased to use to advance His church gathering work. Instead of fear or anxiety on account of America’s second Obama administration, Christians around the world have reason to remain relaxed and optimistic. Our faith determines our perspective. It’s the awareness that President Obama is an instrument in the hands of the world’s King –Christ governs through him– that determines too how we speak of this man. Whether we agree with his policies or his direction may not affect the respect we have for him, simply because Jesus Christ is not wrong in deciding to use President Obama as President of the United States in order to make His kingdom come. As we need by definition to accept and respect the Saviour’s choice for the presidency, so we need, by extension, to speak respectfully of the man the Saviour put in that office. This is why the apostle could give the emphatic instruction to “honour the emperor” (1 Peter 2:17) – though the emperor of the day persecuted the people of God. I make a point of saying this because of the lack of respect I hear from many –also Christians– in relation to government officials. No, I do not think that past (and present) governments in Canada or the States (or anywhere else, for that matter) have always governed well; on the contrary, see what I wrote above about President Obama. But the fact that the Lord Jesus Christ is pleased to use any given person as instrument through whom He governs a country determines how we speak of that person. Any dishonouring of the servant is at bottom dishonouring to the One who appointed him. We need not agree with how a President or Prime Minister or Premier carries out his office, but we emphatically need to think and speak of him with the highest respect for Christ’s sake. Here Christians need to set the example for our fellow citizens. Meanwhile, as governor under the King of kings, the President of the United States (and it’s true of all rulers, our own Prime Minister too) has an enormous responsibility to govern in a fashion that pleases the ascended Christ. That requires not just that President Obama acknowledge Jesus Christ as King and that he knows Christ’s revelation in Scripture, but it requires too so much wisdom in understanding the problems of the day and analysing them well. President Obama needs the guidance and insight of the Lord’s Spirit to carry out his office to America’s and the world’s benefit. For that reason he needs our prayers so very much. Timothy as minister of the Lord’s church in Ephesus had to see to it that,above all else, “requests, prayers, intercessions and thanksgiving be made for everyone – for kings and all those in authority, that we may live peaceful and quiet lives in all godliness and holiness” (1 Timothy 2:1,2),and at the time that meant specifically the Caesar of Rome. This instruction was based on the recognition that “kings and all those in authority” determine to large degree whether their subjects “live peaceful and quiet lives” or, conversely, live in unrest and tension. So then, the King of kings needs to be petitioned persistently that He give wisdom and faithfulness to the earthly powers that be, so that those powers carry out their God-given offices in a fashion that serves the coming of Christ’s kingdom. President Obama too shall need so much wisdom and strength from the Lord God, and it’s our privilege to pray regularly and faithfully for God’s blessing upon him. We do well, in obedience to God’s instruction, to pledge to give ourselves to this task. Four years ago, President Obama campaigned for the presidency under that theme. He didn’t repeat the theme this time around because too many Americans realized that President Obama is not the saviour of the world after all. With his re-election, however, President Obama has acquired considerable political capital to bring about change – and the pressure is on him (again) to produce change that Americans can embrace as a healing balm for the nation’s ills. The Christian understands that any “change we can believe in” must take seriously the One who is seated at God’s right hand. It is God we offended through our fall into sin, and that’s why God’s curse continues to weigh heavily on fallen mankind. Try though he might, President Obama shall not be able to move God’s hand of curse from any sinner, be it himself, be it the American nation, be it the peoples of the world. Only the sacrifice of Jesus Christ could achieve that goal – and in fact has accomplished it. Many people around the world have enormous expectations for President Obama’s second term, and the weight of the responsibility on his shoulders is surely astronomical. The only way President Obama can bring about lasting change that’s beneficial for the world is through his seeking the will of the King of kings, and directing the peoples under him to the same source of life. That’s what we pray for, for the world’s good and President Obama’s benefit. May the Lord God bless President Obama with abundant wisdom from above and true humility of heart.